A Jonny May hat-trick, along with scores from Henry Slade, Owen Farrell and a penalty try, saw England annihilate France 44-8 in front of 82,000 at a damp and bitterly cold Twickenham on Sunday. Damian Penaud notched France's only try on a miserable Six Nations day for Les Blues as they were well and truly put to the sword. England next face Wales in Cardiff in two weeks' time aware that victory there would hand them a monumental chance at a Grand Slam in 2019. In identical circumstances to last week in Dublin, May scored a try inside two minutes (one minute, six seconds in fact) as when Elliot Daly counterattacked and clipped a ball up the line after an outside break, May had far too much pace for French pair Morgan Parra and Penaud, flying past them en route to grounding the ball. Skipper Farrell added three more points to the lead after just seven minutes as England's energetic start to the Test continued, kicking over a penalty from 30 metres out after Guilhem Guirado was penalised for failing to roll away. 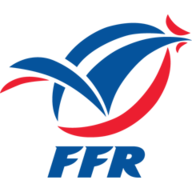 France responded three minutes later when Parra kicked their first points of the day after Tom Curry was penalised for hands in the ruck during the visitors' first foray into England territory, but those points were almost immediately cancelled out when prop Demba Bamba was caught offside and Farrell struck the ball crisply from just shy of the France 40-metre line for 11-3. France gained momentum and ideal field position when they forced Manu Tuilagi off the park in the England 22 soon after, but Guirado crucially overthrew from the lineout. Five minutes later, England would not be so wasteful. From a lineout in virtually the same position as France had just wasted, England secured the ball before Farrell reversed the attack and Leicester Tiger wing May bamboozled Penaud to skip past him and dive over. On the half-hour mark, May had his hat-trick score when after 16 phases of England attack, Slade sent a wild kick up into the air which seemed to end the move. Parra knocked on, though, allowing Chris Ashton to dab through a wonderful kick with the outside of his right, which May scampered after to score in the same corner as his previous two efforts. France notched their only try five minutes from the half when full-back Huget made a stunning break past Slade, Tuilagi and May before finding Penaud, who raced in to finish in the corner. 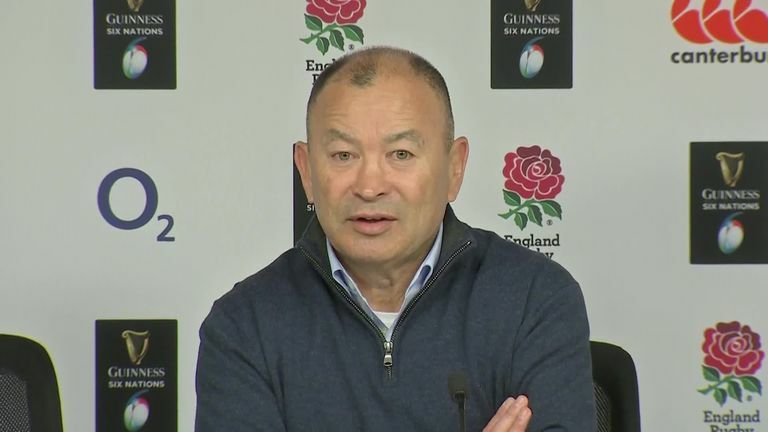 Eddie Jones' men would have the final say of the half, though, when Slade dived over in the same left corner as the previous three scores after a sumptuous Ben Youngs kick straight through the middle of the pitch cut the France defence wide open, with Ashton chasing and gathering. Though the Sale Shark was scragged just short, England recycled and Slade finished strongly, racking up the bonus-point by half-time. Into the second half, England scored the first points via a penalty try when Gael Fickou took Ashton out without the ball after a Slade intercept and intelligent kick ahead - the France wing was sin-binned as a result too. England's sixth and final try of the afternoon was notched ahead of the hour-mark through Farrell after the out-half broke from deep and produced another grubber kick ahead. When the TMO confirmed the ball had been knocked back by Antoine Dupont and not forward by May, Farrell's simple grounding was awarded. What a difference a year makes. England so often floundered during a lot of their Test matches in 2018, but they are playing like a side whose tails are firmly up. 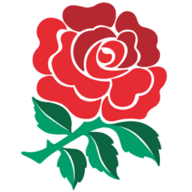 The sheer power and intensity the likes of the Vunipola's, Tuilagi, Sinckler and Lawes bring, along with the subtly and cleverness Farrell, Daly, Slade and May add is a very potent combination at present. Add a general confidence exhibited in the squad, and England are a match for anyone in this form. And how well is May playing right now? For so long regarded as a player with great potential but without the attributes to make full use of his qualities, the Tigers man is playing outstanding rugby. His pace is and always has been phenomenal, but his aerial ability, kicking game and finishing is better than it ever has been. 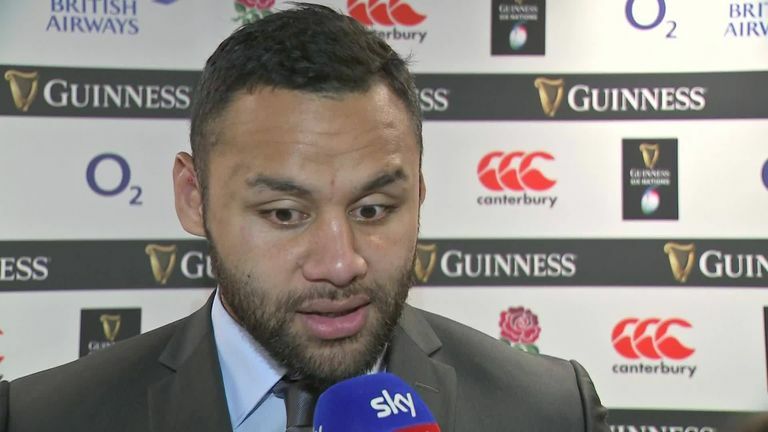 Were there a Lions tour tomorrow, he would undoubtedly be on the plane. France, what is there to say? The question on a lot of people's lips before this one was if Les Blues would turn up - they didn't. 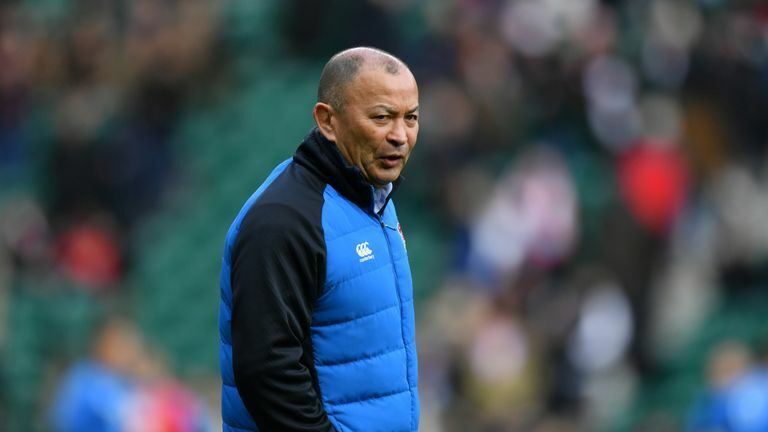 Sunday's performance at Twickenham wasn't even a case of one step forward, two steps back from France - it started that way, but by the end they had been bettered all over the park in every single facet. They were exceptionally poor. Jacques Brunel's reign has been an unmitigated disaster. He now has just three wins from 13 Tests - Guy Noves was sacked after a run of three wins in 11. On the one hand, it would seem an act of lunacy to expel another head coach so close to the World Cup, but on the other, the question must be asked: can they really afford to pitch up to Japan like this? 3 - Jonny May is the first @EnglandRugby player to score a hat-trick against France since Jake Jacob back in 1924. Flying.